﻿Friends of Mosaic Academy has created different ways that you can show your support. 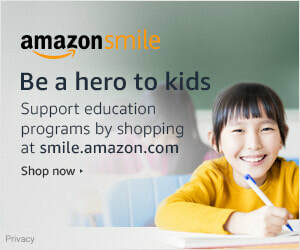 Simply go to smile.amazon.com, You’ll find the exact same low prices, vast selection and convenient shopping experience as Amazon.com. On your first visit, you need to select Friends of Mosaic Academy to receive donations from eligible purchases before you begin shopping. Your selection will be remembered, and then every eligible purchase you make will result in a donation. Make a direct deposit or set up an automatic deduction to the Friends of Mosaic Academy account at any Citizens Bank branch located in Aztec, Farmington, or Bloomfield. Click the button below to be taken to our crowdfunding platform to make a donation.